However, the real life relationship between Doctor Who and Ireland is much stronger. Tenth Doctor David Tennant’s grandmother was from Northern Ireland – his grandfather was a professional footballer, whose record of 57 goals for Derry City in a single season still stands. 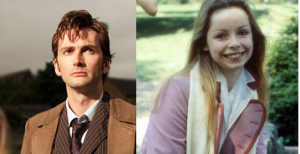 Lalla Ward, who played the second incarnation of Romana and was briefly married to Fourth Doctor Tom Baker, is the daughter of the 7th Viscount Bangor; their family home was Castle Ward in County Down, better known to Game of Thrones fans as Winterfell. 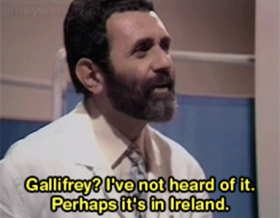 There have not been a lot of characters with Irish accents on Doctor Who. (Certainly not compared with Scots.) 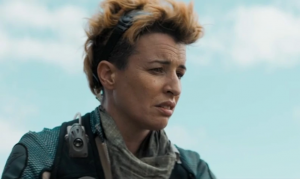 I make it around a dozen in the 55 years of the show’s history, most recently Susan Lynch as Angstrom in The Ghost Monument, the second episode of this year’s series. 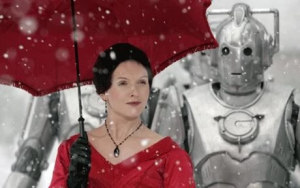 And Dervla Kirwan played Mercy Hartigan, who made the mistake of allying with the Cybermen in the 2009 Christmas special The Next Doctor. 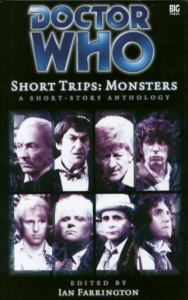 Only one other short story, “Screamager” by Jacqueline Rayner, published in the 2004 Short Trips: Monsters anthology, is set in Ireland, with the Second Doctor and Jamie leaving Victoria in the 14th century, where she has to get to grips with the Black Death. It’s a rather grim piece. Ireland gets a lot more visibility in the Doctor Who audio plays which have been produced by Big Finish since 1999, featuring all the surviving Doctors. Three of these have been set entirely in Ireland. 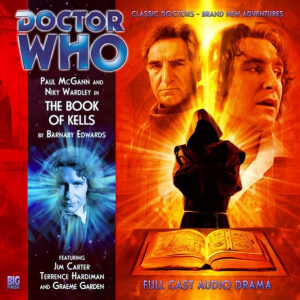 The earliest, chronologically speaking, is The Book of Kells (released 2010), by Barnaby Edwards (who operates the Daleks on the TV show); in 1006, the Eighth Doctor (Paul McGann) meets King Sitric (Terence Hardiman, aka the Demon Headmaster) in the monastery at Kells, where the Book itself becomes an object of contention between the Doctor, the King and the Abbot (a standout performance by ex-Goodie Graeme Garden). 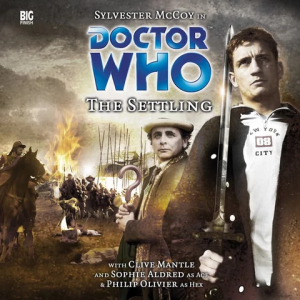 Its full effect depends a bit on appreciating the continuity between the Eighth Doctor’s then current audio companion (Tamzin, played by Niki Wardley) and her predecessor (Lucie, player by Sheridan Smith), but it’s a fun piece. 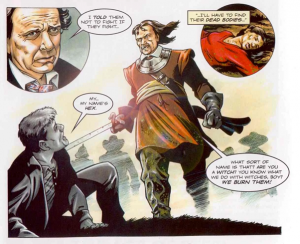 Grim rather than fun is the best word to describe The Settling (released 2006), by Simon Guerrier, in which the Seventh Doctor (Silvester McCoy) and TV companion Ace (Sophie Aldred) along with audio companion Hex (Philip Olivier) find themselves at the sieges of Drogheda and Wexford in 1649, facing Cromwell (played by Clive Mantle, who was Little John in the 1980s Robin of Sherwood and more recently Greatjon Umber in Game of Thrones). It’s one of the rare purely historical stories, with the Doctor and friends witnessing but unable to change the horrible course of events. It’s difficult for a concept like Doctor Who to tackle tough historical subjects like this – but of course we have now seen the Thirteenth Doctor meet Rosa Parks in Alabama, and deal with the Partition of India, so perhaps the possibilities are more than I thought. 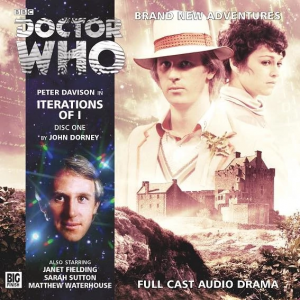 Most recently, both in historical setting and in release order, Iterations of I (released 2014), by John Dorney, takes the Fifth Doctor (Peter Davison) and his TV companions Tegan (Janet Fielding), Nyssa (Sarah Sutton) and Adric (Matthew Waterhouse) to an island off the Irish coast in 1981 (ie contemporary with their TV stories). 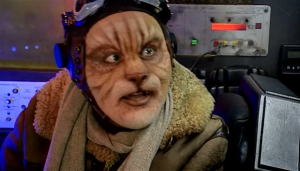 On the island, a mathematical cult has taken up residence in the deserted house, and then mysteriously disappeared; the Tardis crew teams up with locals (led by Aoife, played by Sinead Keenan, who was also Nena the werewolf in Being Human) to find out what exactly was going on. It’s effectively a clever maths concept story, set in a haunted house. It won the 2015 Scribe Award for Best Audio, presented by the International Association of Media Tie-In Writers. 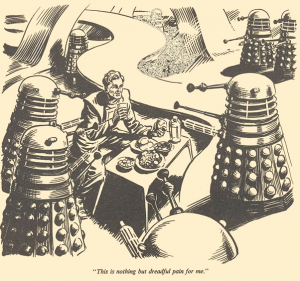 Finally, there are many Doctor Who comics as well, but literally the only Irish reference I have found is in the 2007 story “Death to the Doctor!” (available in The Widow’s Curse) where a number of second-rate enemies of the Doctor get together to plot revenge. Questor, defeated long ago by the First Doctor, is explicitly Irish. 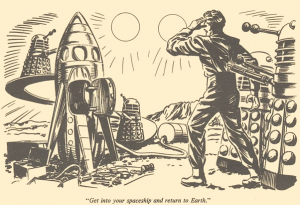 And the very first reference to Irishness in Doctor Who by our timeline is in one of the first spinoff books, The Dalek World, published in 1965. 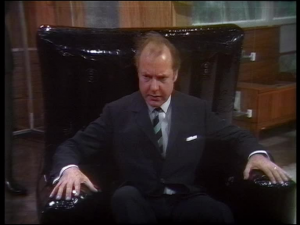 In “The Five-Leafed Clover”, probably by David Whitaker, the show’s first script editor, an interplanetary trader, Pat Kelly, manages to pull a confidence trick on the Daleks, mainly with a “don’t throw me into that briar patch” routine. We have moved on from that, I hope. 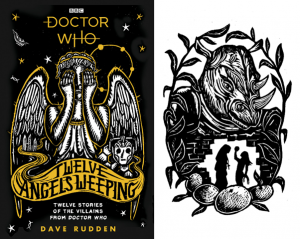 Images courtesy of BBC Worldwide; Big Finish Productions; Penguin/BBC Children’s Books; Panini Publishing.